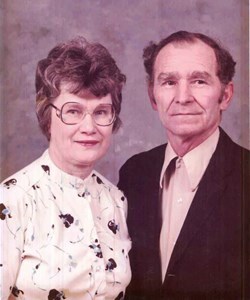 Newcomer Family Obituaries - Dorothy L. Alexander 1930 - 2019 - Newcomer Cremations, Funerals & Receptions. Dorothy L. Alexander, 88, passed away peacefully on February 6, 2019. She was born in Tallmadge, graduated from Tallmadge HS in 1948 and was a longtime resident of Cuyahoga Falls. Dorothy retired from Lawson Milk Company after many years of service. She enjoyed sewing, home improvement projects and jigsaw puzzles. She was preceded in death by her husband of 51 years, Thomas "Alex;" daughter, Susan Dennison; and sister, Ruby Summers. Dorothy is survived by her children, Karen Alexander, James (Nancy) Alexander, Jack (Jeanne) Alexander; grandchildren, Bryan, Stephanie, Randy (Laura), Rick (Ashlie), Megan, Nathan, Chris, Ryan (Tracy), Tom; great-grandchildren, Alaina, Brantley, Emma, Will, Gabby, Audrey, Gunner, Elise, Arista, Landyn, Emery; and brother, Lester Maple. Visitation will be from 10am-12pm on Saturday, February 16 at Newcomer Funeral Home, 131 N. Canton Rd., Akron. Funeral service at 12pm. Interment at Hillside Memorial Park, Akron to follow. In lieu of flowers, please consider a donation to the Gardens of Cuyahoga Falls, 45 Chart Rd., Cuyahoga Falls, 44223. Add your memories to the guest book of Dorothy Alexander. Emery- GG, I love you, you had the best hugs. Arista- I will miss your smile, it was so beautiful. Landyn- GG, I will miss you the most. You were the best GG ever. Elise- GG, I'll miss you. Thank you for being so kind and loving. Audrey- Thank you for always being loving and supportive. I'll miss you a lot. My greatest memories of my grandmother, is as a child, living in Germany, my grandparents would come visit, and we would go on adventures and explore the country and created lasting memories, that will forever, never be forgotten. You were such a loving person, and always had open arms and a open heart. You always had guiding support no matter where one was in life. You taught us all about work ethic, and to have faith in ourselves. We will miss you grandma, please say hi to mom and dad for me, and grandpa also. I know you all will always be here with us in spirit, and watching over us, with pride, for the amazing person you were, and the love that you gave us all. There was so much that I wanted to do growing up, and in turn so much that you gave to help me do those thing. From the tap, ballet, and tumbling classes to the gymnastics and baton twirling that I took part in. You supported me all through girl scouts, through my many years of band and learning four instruments. You were proud when I graduated with honor from high school, and then again when I graduated with honors from college. No matter what I have done I didn't even need to look to see if you were behind me supporting me; you were always there. You will be missed, and you will always be loved. Be at peace. You and grandpa helped instill in me a love for camping and nature, as well as a good set of morals and work ethic. You loved your family unconditionally , no matter how much I talked or how weird I was you always accepted me, you always supported and never judged, no matter what happened. You are finally back with grandpa and the rest of the family that has passed, exactly where you wanted to be. Mom, From making me costumes and letting me take Mrs Simon to the the mother son dance in grade school, having me learn a musical instrument, going on Family camping trips to Mogadore Reservoir, the road trips to visit family and relatives in other states and ice skating at Valley Vista park. The life lessons you and pop taught me helped shape me into the Man, husband and Father I am today. I Love You and will miss you dearly. Mom, I love you and miss you. You helped me through good and bad. I will miss our daily phone calls. Now you are with Dad and Sue and all of you have good memories of us together. I still remember the day I moved to ohio. It was my 13th birthday. Her and grandpa picked me up from the airport. I remember being nervous because my family was driving to ohio with everything. But she was so sweet and kind that my nervousness went away quickly. I will always remember that day grandma. I love you and know you are happy with grandpa and my parents up in heaven looking down on us with smiles knowing you have raised a wonderful family.